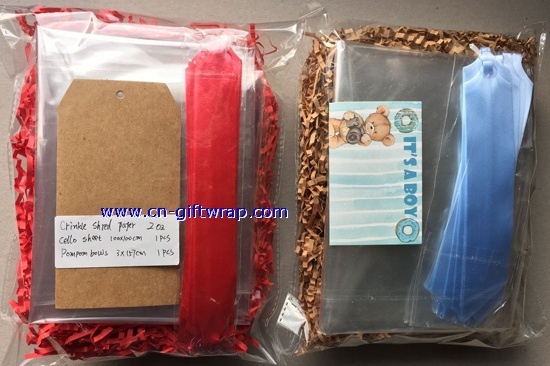 Hampers accessory pack set,YUYAO WANJI GIFT PACKAGING CO.,LTD. Complete your hamper and make sure it looks fab with our hamper dressing set. It has everything you need to help someone feel special at baskets and to make finishing their gift easy. The set contains, shredded paper, ribbon to tie a pull bows, a large gift tag and cello-wrap to keep everything together.